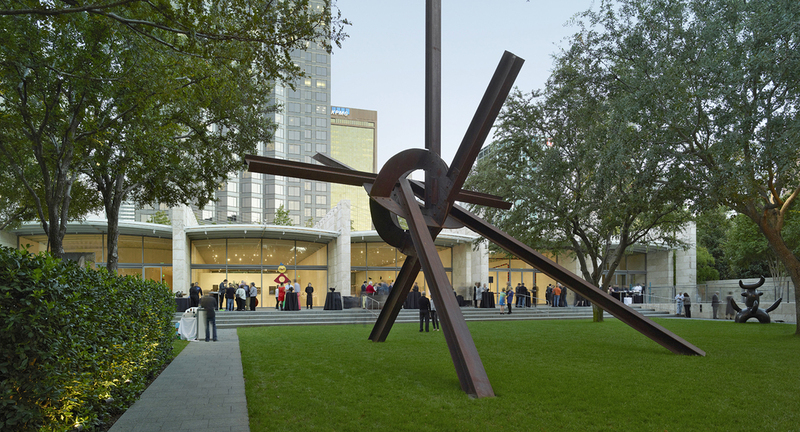 Nasher Sculpture Center in Dallas, Texas. The Andy Warhol Foundation for the Visual Arts has awarded a total of $3.65 million to forty-two organizations as part of its fall 2018 grant cycle. The funds will support exhibitions, publications, film screenings, artist residencies, and new commissions, among other programming, in sixteen states, as well as in Puerto Rico and Beirut. Among the organizations receiving grants are the African Film Festival in New York; the University of California Berkeley Art Museum and Pacific Film Archive in Berkeley, California; the Institute of Contemporary Art in Philadelphia; the Leslie-Lohman Museum of Gay and Lesbian Art in New York; the Nasher Sculpture Center in Dallas; the Portland Institute for Contemporary Art in Portland, Oregon; and the National Museum of the American Indian (NMAI) in New York. NMAI will be the first Smithsonian Institution to be backed by the foundation in eight years. The foundation announced last week that it had decided to lift an eight-year funding ban on the institution, which had been imposed because of the National Portrait Gallery’s censorship of David Wojnarowicz’s video A Fire in My Belly in 2010. The foundation’s grants are often awarded to organizations that highlight the work of innovative and marginalized practitioners. This year, the foundation has awarded funding to support an exhibition on Arab American artists produced by the Saint Paul–based organization Mizna; a series of books published by Visual AIDS that champion the activism of artists affected by HIV and AIDS; and the restoration and touring retrospective of important films by queer filmmakers.